Baseball’s back and it’s exciting. While everyone’s interested in hits and home runs, let’s take a moment to appreciate another side of the game. The, uh, physical side of things – if you can catch my drift. Dodgers outfielder Matt Kemp has always been a crowd favourite. It doesn’t hurt that he’s easy on the eyes, especially if they happen to attract past girlfriends, like Rihanna. Noah Syndergaard’s nickname is Thor and he’s dressed up as the character on a few occasions. Besides both having Fabio-like locks and big frames, the Mets have even embraced his love for the Marvel comics character when they released a Snydergaard bobblehead dressed as Thor. Entering his fifth season as a member of the Toronto Blue Jays, Marcus Stroman has received the Golden Glove Award, and to boot, he’s pretty cute. Predicted to become one of the highest paid players once he becomes a free agent in 2019, there’s no stopping Bryce Harper. This sharp-dressed cutie is cool as a cat. 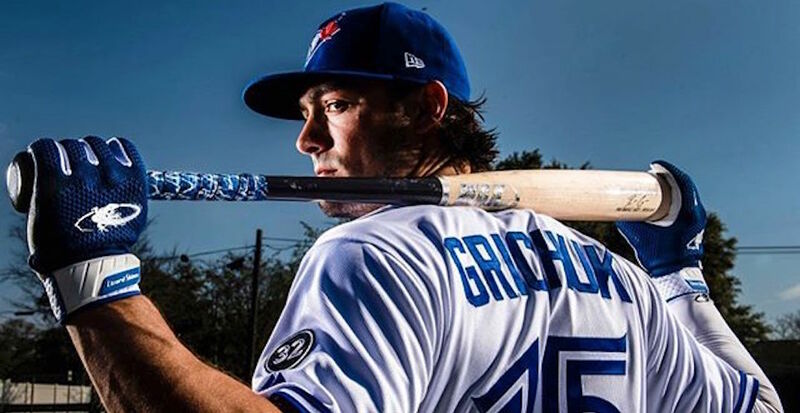 Randal Grichuk is going to have big shoes to fill, after the Blue Jays and Jose Bautista parted ways. He’s already looking mighty fine in Toronto’s uniform colours though. Everyone in the baseball world is anticipating Shohei Ohtani’s debut season, as each team had hopes of signing this baby-faced babe before he decided on the Angels. He’s already made the cover of Sports Illustrated. Nicknamed “The Magician,” you can see why when you lock eyes with this World Series champion. This Astros player is a superstar on and off the diamond. The Puerto Rican has been highlighting noble causes to help out his native island, recovering from Hurricane Maria. A World Series champion, Kris Bryant can crush a ball with his bat and melt your heart with his smile. This Taiwanese heartthrob can throw the heat, as a pitcher for the Miami Marlins. Yep, we can officially say Ottavino is smoking hot. Look at that smile! It’s no wonder the Red Sox couldn’t resist snagging him from the Arizona Diamondbacks. After injuries slowed Josh Donaldson last season, he’s healthy and ready to go again this year. Occupying the ‘hot corner,’ can’t wait to see this man back on the field for the Blue Jays. The list of accomplishments provided by the eight time All-star is already amazing enough. Known for his fashionable sense of style, the Dominican-American has also splashed the pages of GQ magazine. Another fresh face to watch out for this season, Corey Seager’s movie star good looks fit in well in Hollywood. Contributing writer. Likes to daydream about fashion, travel, is addicted to chocolate and has a bad habit of binge-watching Asian dramas.